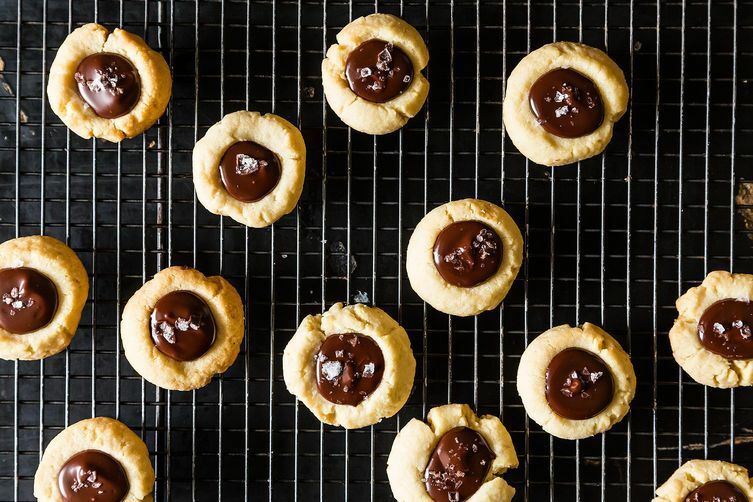 Today: The 7 reasons you should make these cookies, right now. 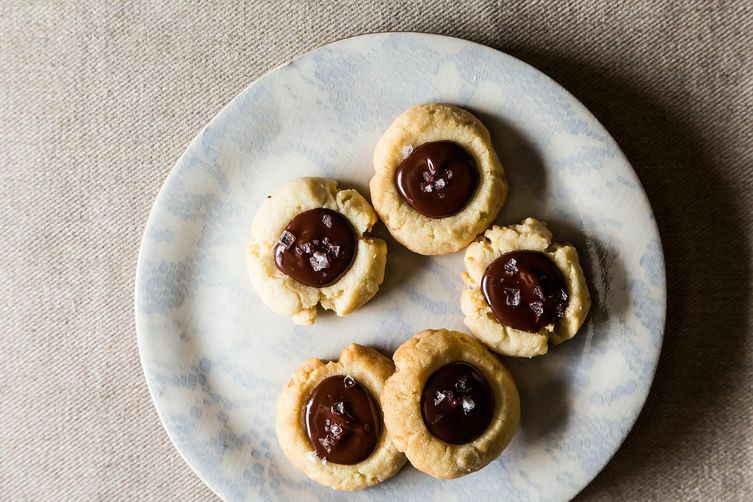 Seven reasons why you should make Almond Thumbprint Cookies with Dark Chocolate and Sea Salt tonight. 1. You asked your hostess what you can bring tonight, assuming she would say “just your smile” so you could settle into a marathon of House of Cards but to your mild horror she sent back a panicked email looking for dessert. 2. You have left over almond meal you’ve been dying to get rid of. 3. You have no eggs. 4. A friend has recently brought you homemade jam, caramel that is so addictive you might not make it into work for a few weeks or some other confection in search of a thumbprint that you will substitute for the chocolate. 5. You make it as written; chocolate + salt always = thank you. 6. They last all week. 7. You have decided to stay home and stare out the window and mind-will your neighbor to mow his lawn. This will require a snack. Because Passover's on the brain, I have to say these would be perfect for the holiday too. sadly not KFP but really good the rest of the year. and perfect for egg allergy folks. What can I say, your columns are a hoot! Jenny -- what a nice surprise to see these in your column! Happy they helped you with all seven things above, especially #7 (very funny!). Hi, quick question, where did your almond meal come from. What exactly is it? Ground almonds, which you can do yourself or Trader Joe's sells it.